Law is a noble profession and the individuals are required to follow and adhere to certain ethics, rules and code of conduct. All individuals practising the profession are expected to follow the same. The importance of the profession is secured when the rules of conduct are well implemented. Lawyers apart from being professionals are also considered the officers of the court. Let us look into the legislation and rules as well as the concerned authorities which govern the same. The Bar Council of India provides for several regulatory, reformative and disciplinary functions. 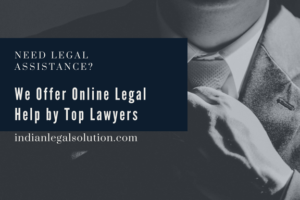 It also functions by giving recognition to the universities that impart law education and give law degree that acts as a relevant qualification for the registration of an advocate. Also, privileges, interests as well rights of lawyers are safeguarded by it. Each member, to continue as a member, has to adhere to certain ethics, standards, conduct and regulations. It is against the advocate’s code of ethics to advertise or solicit work and the same would amount to a misconduct and thus, direct as well as indirect, by any means, advertising is prohibited. Demanding fees for enabling or training a person to qualify for enrolment is restrained. When an advocate is already engaged in a case, another advocate cannot be engaged without the consent of the advocate already engaged. In case of absence of consent, reasons are to be stated and permission from the court is to be sought. The advocate not only has a duty towards his client, but also the opposite party. Communication or negotiations are to be made only through the opposite party’s advocate. Promise, if made, to the opposite party must be fulfilled by the advocate. The Lawyer-Client relationship is fiduciary in nature and upholding the interest of the client through fair and honourable means is the duty of an advocate, irrespective of the consequences of the same to himself or another person. These are only a few of the rules laid down by the BCI and violation of the same could amount to professional misconduct. However, the list is not exhaustive and the term is interpreted by the Courts through various judgments from time to time. In the case of Sambhu Ram Yadav v. Hanuman Das Khatry, the apex court was of the view that legal profession neither is trade nor a business and it is the duty of the professionals to uphold the integrity of the profession and further ensure that justice is secured and delivered. Further, in the case of Noratan Courasia v. M. R. Murali, the Supreme Court, exploring the amplitude of Sec. 35 of the Advocates Act, held that it is obligatory for a lawyer to observe norms of behaviour. N. G. Dastane v Shrikant S. Shinde witnessed the Supreme Court holding that deliberately postponing examination of witnesses who were present, is a dereliction of an advocates duty. Finally, in the landmark judgment of Bar Council of Maharashtra v. M. V. Dahbolkar, the apex court upheld that misconduct covers any activity or conduct which professionally, taking into consideration his good reputation and competency, would be regarded as disgraceful and dishonourable. The scope of “misconduct is not exhausted by technical interpretations. A context-specific and dynamic sense, capturing the role of an advocate is to be applied. Forcing the prosecution witness not to tell the truth. Remove the name of an advocate from the state roll of advocates. Apart from the above, due to professional misconduct, a person loses his reputation, is looked down upon and thus, leading to a lack of social acceptance. People lose their faith in him. When credibility is lost, it becomes hard to maintain a reputation which ultimately leads to a few or no number of cases in his hand. Professional misconduct makes a person lose his work. Thus, to conclude, we could say that following a code of conduct becomes essential for an advocate to thrive in the profession. Mistake of Law is not an excuse: Know your code. The key element of abiding by something is being well versed with the same. Hence, an advocate should know the prescribed code of conduct at his fingertips. Morals: It must not be hard to notice that codes of conduct are deep-rooted in ethics. Acceptable conduct is based upon moral philosophies. What is right and what is wrong, from a larger point of view should guide a person’s decision making. This, to a far extent, would help in avoiding misconducts. Seek Advice: If you do not know what to do, it is always best to ask someone who is reputed and you look up to for advice while making professional decisions. Negligence v. Malafide Intention: Many instances of misconduct happen due to negligence rather than evil intentions. Thus, pay great attention to each step you take. Sexual Brutality in Armed Conflicts- A Delict of International Humanitarian Law : Analysis of a Law Student.